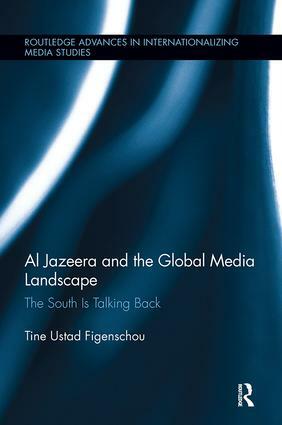 This book analyzes how and why Al Jazeera English (AJE) became thechannel of choice to understand the massive protests across the Arab world 2011. Aiming to explain the ‘Al Jazeera moment,’ it tracks the channel’s bumpy road towards international recognition in a longitudinal, in-depth analysis of the channel’s editorial profile and strategies. Studying AJE from its launch in mid-November 2006 to the ‘Arab Spring’, it explains and problematizes the channel’s ambitious editorial agenda and strategies, examines the internal conflicts, practical challenges and minor breakthroughs in its formative years. The Al Jazeera-phenomenon has received massive attention, but it remains under-researched. The growth of transnational satellite television has transformed the global media landscape into a complex web of multi-vocal, multimedia and multi-directional flows. Based on a combination of policy-, production- and content analysis of comprehensive empirical data the book offers an innovative perspective on the theorization of global news contra-flows. By problematizing the distinctive characteristics of AJE, it examines the strategic motivation behind the channel and the ways in which its production processes and news profile are meant to be different from its Anglo-American competitors. These questions underscore a central nexus of the book: the changing relationship between transnational satellite news and power.